Our daycare center provides a safe, nurturing environment for your children at those times when you can not be there... For information about enrollment, please contact director Cristal Garry at 631-473-2625. 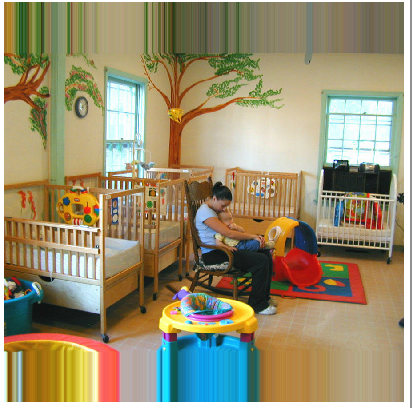 Noah's Ark Day Care Center promotes an OPEN DOOR POLICY in which parents are welcome to visit at any time of the day. We also encourage parents or guardians to call us throughout the day to inquire about their child's day, or to offer any suggestions or observations. In addition to our TWO regularly scheduled annual "BACK TO SCHOOL DAY" EVENTS, appointments to meet with your child's teacher can be made at any time, and as frequently as you wish. Your suggestions and observations are encouraged and welcomed. 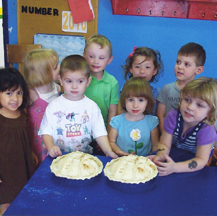 Noah's Ark is a non-denominational, not for profit, childcare center with programs dedicated to the enrichment of children through a warm, nurturing and stimulating environment. Our Infant Program reflects a daily schedule which respects each child's individualized needs and development. Our experienced staff provides a nurturing and cuddling environment in which activities are planned according to each child's ability and background. Our Toddler Program encourages self-expression and exploration through a wide variety of art, music, cooking and large muscle activities. Our amiable staff sparks each toddler's natural curiosity and fosters a healthy respect for themselves, others, and their surroundings. 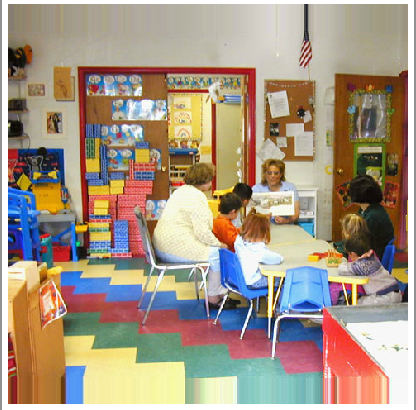 Our Early Childhood Program focuses on development of language, social skills, motor control, and sensory awareness. 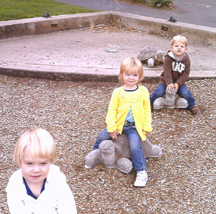 Our daily activities are designed to promote your child's creativity and self expression.